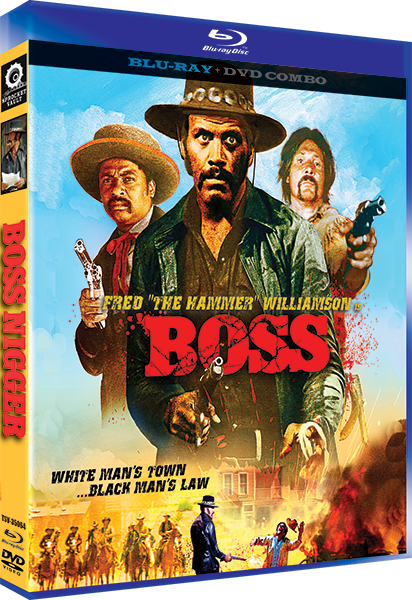 Part devil, part legend and all man, Boss (former football star Fred Williamson) is an ex-slave who’s “decided to hunt white folks for a change,” becoming a bounty hunter and setting out on the trail of fugitive outlaw Jed Clayton (William Smith). With his comic sidekick Amos (D’Urville Martin), he rides into the town of San Miguel, finds that it has no sheriff and takes the job himself. Boss takes a bite out of local crime, chases women and brings the hammer down on Clayton in this amusing and action-filled parody of the 1970s blaxploitation genre, instituting black man’s law in this white man’s town! 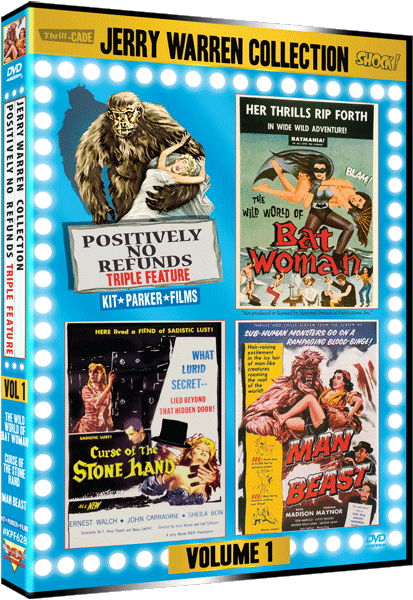 SPECIAL FEATURES: “A Conversation with Fred ‘The Hammer’ Williamson” with Joel Blumberg; “A Boss Memory” with Producer Myrl Schrelbman; Jack Arnold Tribute by producer Myrl Schrelbman.